On DJ controllers, the microphone input is often wired directly to the master output (this is called a pass-through mode) to avoid the latency software may add, but the microphone's sound can only be recorded if it goes through the software. Connect the master output to an external sound card. Record the master output on another computer (in a different application than the DJ software: for example, Audacity) = record the mix with the microphone. 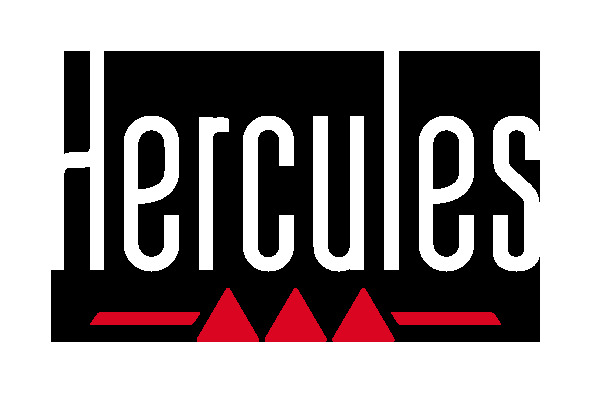 Hercules DJ controllers with a microphone input have 2 simultaneous master outputs (1/8” stereo + double RCA, or double RCA + double 1/4” jack, or double RCA + double XLR), so a master or a booth output is available in addition to the output to which speakers are connected. This way is the safest to broadcast the mix online, as the computer processing the DJ software is not connected to the Internet or via Wi-Fi, and being connected to the Internet or via Wi-Fi is not recommended for live performances. 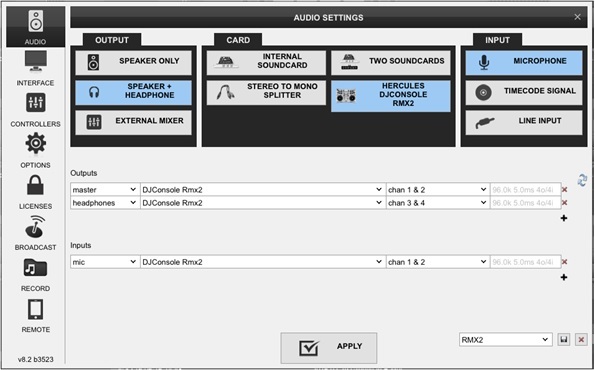 Open the Hercules DJ control panel, and set the microphone as inputs 1-2 instead of as a Line input (if possible). 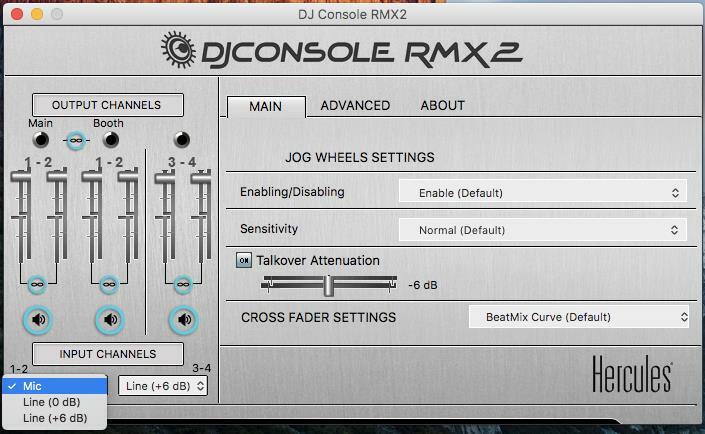 Go to the DJ software's Configuration > Audio menu. Set the microphone input as the input for channels 1 and 2 in the DJ software. 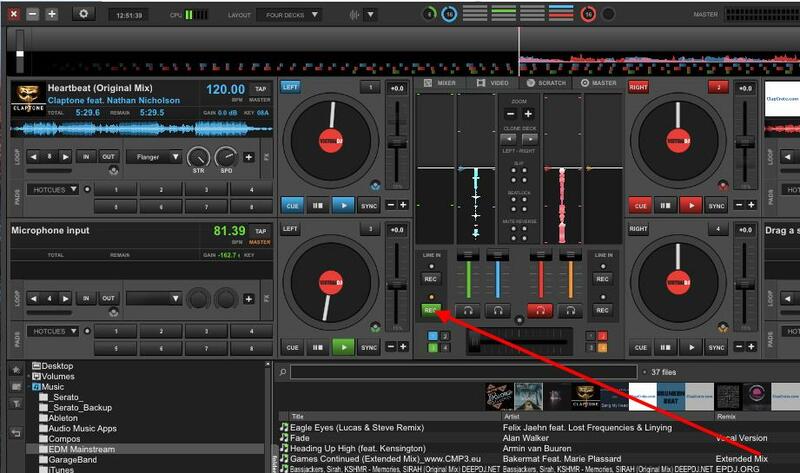 - If VirtualDJ is in 2-deck mode: replace a deck with the microphone input by using the Source 1 button = record the microphone streaming as if it were a track. - With VirtualDJ Pro, operate in 4-deck mode. - Load a 4-deck skin. - Declare Deck 3 as the Input for the microphone (In VirtualDJ 8 Pro, you can display the scratch mixer, and click on the Line In second REC button to enable the microphone input for Deck 3). - Record the mix with the microphone.